Scientists from international consortia including the James Hutton Institute are making headway in the fight against blight, a plant disease responsible for major famine and loss of life throughout history. They have managed to track down the origins of Phytophthora infestans, the pathogen responsible for blight of potato, tomato and other related hosts, as well as to spatially map its distribution and diversity across Europe. In a paper published in Proceedings of the National Academy of Sciences, the international research group has pinned down the origins of potato late blight to a scenic highland valley in central Mexico. The findings are relevant not just in terms of agricultural history, but also because they may aid researchers in their quest for food security through disease resistance. This is key because there has been no respite from blight: in 2014, there have already been 60 outbreaks in the UK. Studies on the disease have generated much debate, which in recent years has focused in the geographic origin of blight. After sequencing genes in representative samples from Mexico and the South American Andes, researchers found P. infestans was likely to have originated in Mexico. Using the latest generation approaches, the team determined that P. infestans co-evolved in the Toluca Valley hundreds of years ago with plants that were distant cousins of modern potatoes, which produced tubers but were more often thought of as a weed than a vegetable crop. As potato late blight continues to be a major threat to global food security and billions are spent each year trying to combat it, mostly due to the cost of fungicides and substantial yield losses, Dr David Cooke, plant pathologist at the James Hutton Institute and co-author of the study, claimed this line of research is essential in the fight against the disease. “Identifying the elusive origin of P. infestans is absolutely critical to understand the mechanisms through which this pathogen is able to strike repeatedly in different parts of the world, as it is one of the few plant pathogens in the world with a well-characterised centre of origin," he said. “The study has significant implications as we try to understand how hosts co-evolve with pathogens, and how to harness plant disease resistance to manage late blight. “The James Hutton Institute played a significant role in the analysis based on markers that are being used to characterise populations of the pathogen on a global scale." Besides the James Hutton Institute in Scotland, the research consortium included scientists from the University of Florida (US), Oregon State University (US), University of the Andes (Colombia), Cornell University (US), International Potato Centre for Asia and the Pacific (China) and the USDA Agricultural Research Service. Another international consortium, meanwhile, also including the James Hutton Institute, has been able to spatially plot the distribution and diversity of the plant pathogen across Europe, using genetic analysis techniques similar to those employed in forensic science. This offers a rapid, cost-effective and co-ordinated approach to understanding pathogen change on a European scale. 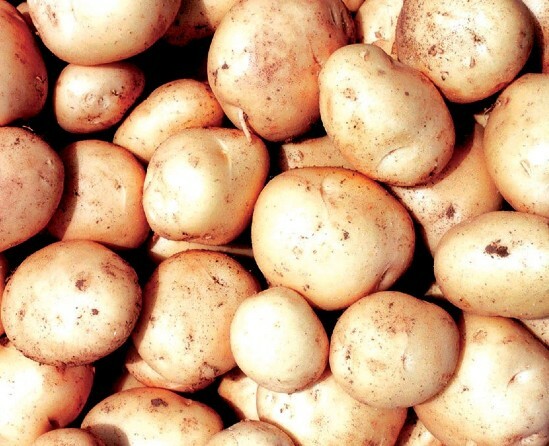 Plant scientists from the EuroBlight consortium (which also includes Aarhus University and Wageningen University), working with industry and research partners, have presented their first report on its pathogen monitoring in potato crops. Cooke, who leads part of the EuroBlight study, said: “Although we are now better equipped to control late blight than in the past, an evolving pathogen population continues to challenge our management practices. “Rapid changes in P. infestans populations in Europe, America and Asia, including the emergence of strains with altered pathogenicity or reduced sensitivity to fungicides have been observed. Also, constant monitoring of populations and characterisation of invasive genotypes is essential for the deployment of integrated pest management strategies as required by EU regulations. The project partners have passed data on the dominant P. infestans clones to growers, advisors, breeders and agrochemical companies to provide practical management advice and shape longer-term strategies. More detailed genetic analysis of the population and tools to display this information on the website are also planned and the project will continue over the 2014 season.